The Atlantic has called this collection of our license plates “an unprecedented threat to privacy.” This data, collected in aggregate, can reveal intimate details about our lives, including what doctors we visit, where we worship, where we take our kids to school, and where we sleep at night. Companies marketing this data claim that the technology can predict our movements and link us to our associates based on which vehicles are often parked next to each other. Current California law forbids vehicle owners from doing anything to their license plates that would interfere with ALPRs. However, there is one exception: drivers may cover their entire vehicles to protect their cars from the elements. S.B. 712 argues that if it’s OK to cover the entire vehicle, including the license plate, then it should be legal to cover just the license plate, presuming the driver is parked legally. Law enforcement officers would have the authority to lift the cover to examine the plate number. In practical application, S.B. 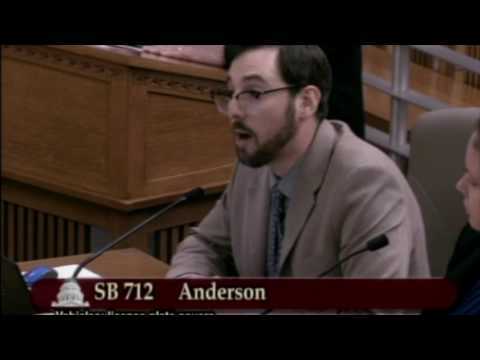 712 would allow a patient to cover their plate when they park at a reproductive health clinic to keep that sensitive medical information private. It would allow a visitor at a mosque, church, or temple to cover their plate to protect their religious activities from being sold by data brokers. Clients of immigration lawyers could cover their plates when they visit the firms to ensure they can access counsel without triggering an Immigrations & Customs Enforcement alert. In opposing the bill, law enforcement has overstated the usefulness of ALPR data collected from parked vehicles. During a May 9, 2017 hearing, law enforcement representatives were unable to present any data supporting their claims. Following that hearing, EFF filed dozens of public records requests around the state of California to find that data. 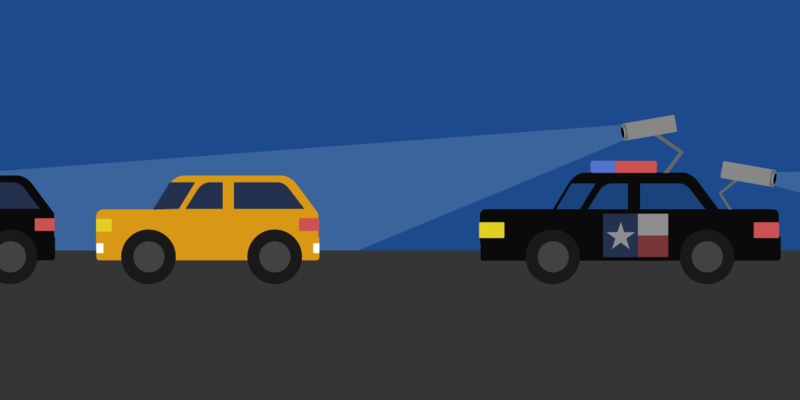 We found that less than 0.1% of license plate data collected by police are connected to a crime at the point of collection, but the remaining 99.9% of the data is stored and shared anyway. For example, the Sacramento Police Department collects on average 25-million plate scans each year. Only a tiny number of those plates, 0.1%, were connected to an active investigation when the information was collected. And yet the rest of the plates, 24.97 million of them, are shared with more than 750 agencies nationwide with little vetting or control. EFF is joined by the ACLU in supporting this legislation. We believe S.B. 712 provides a balanced solution since it does not create a new burden on companies or state agencies, but rather empowers drivers to protect their privacy if they so choose. Read EFF's letter in support of S.B. 712. For more information on ALPRs, you can review EFF’s Street-Level Surveillance project, which outlines how ALPRs work and the threat they present to privacy.